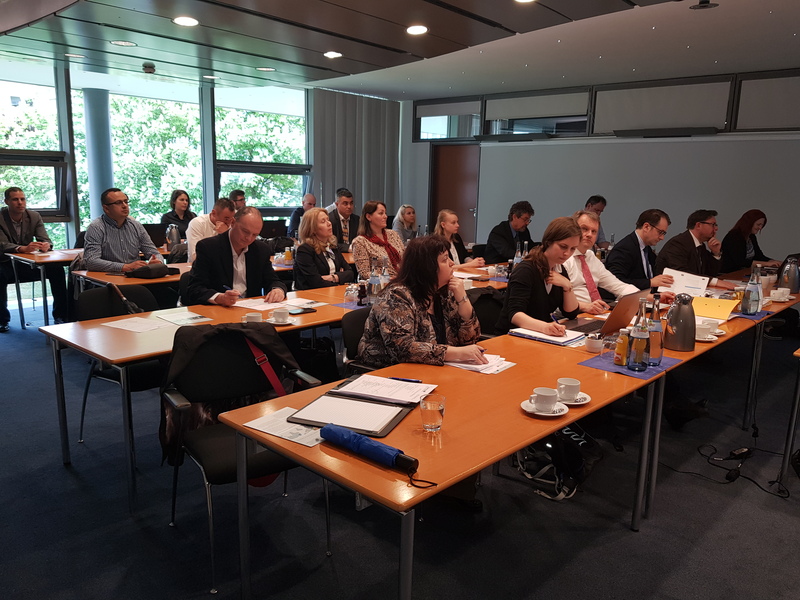 The 3rd DANTE Project Consortium Meeting and the 3rd Transnational Working Group meeting, back-to-back for the second time with EUSDR PA1a & PA11 were held on April 23-24, 2018 in Karlsruhe, Germany with the aim to report and capitalize on project achievements to date. The status quo of all project work packages was presented during the consortium meeting, next steps, outlook on upcoming activities, as well as administrative issues were discussed. A detailed review was done on the Transnational IWT Barrier Reporting Tool, the first project output, which is out and running and currently holds some 157 cases reported by various stakeholders. 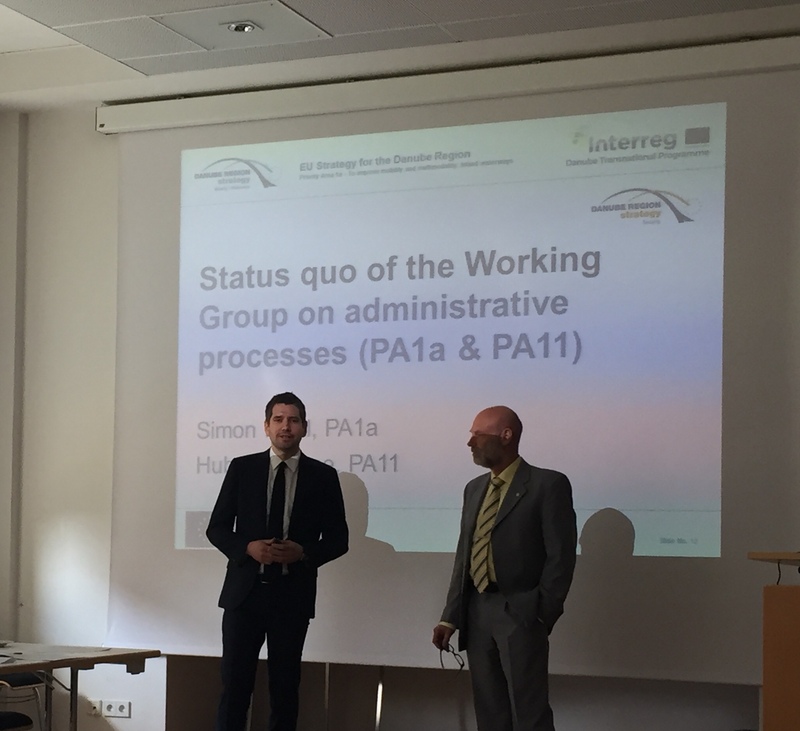 The Joint PA1a & PA11 Working Group Meeting started in the morning of April 24, 2018 where an overview of activities implemented in cooperation between the EUSDR working groups on administrative processes and the DANTE project was done. Final PA1a proposal for harmonized control forms (the DAVID forms: Arrival and Departure report, Crew List and Passenger List) and the PA11 proposals for transnational control database were discussed. Later on during the technical meeting of PA1a & PA11 the DAVID forms were approved. The next steps include presentation of the approved forms on the Steering Group level by the end of June and drafting of ministerial conclusions by the Danube Transport Ministers to be endorsed on December 3, 2018. Further on the 3rd transnational meeting in Karlsruhe defined the next steps in the elaboration of the Danube IWT Administration Strategy and the related action plan. It also reviewed the conclusions from the second round of national working table meetings and outlook of the country reports. The DANTE transnational meetings acts as a key step in achieving the harmonized regulations and simplified administrative procedures in inland waterway transport (IWT).